THE HAGUE - A measure from the Kingdom Council of Ministers is hanging over Curaçao’s head. The Financial Supervision Board has already corresponded with the Minister of Finance Kenneth Gijsberta. Basically, the budget deficits are increasing and the measures that should take care of that are too lenient. Undersecretary for Kingdom Relations Raymond Knops does not answer directly to the question of whether the measure for Curacao will come. 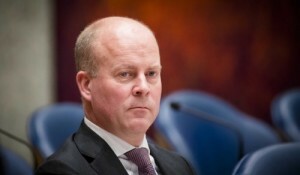 Knops indicated that he counts on the common sense of the Ministers in the Curacao government who have promised to resolve the situation themselves.